You're in a bad mood. No one you know has words that would make you feel better. What do you do? You put some music on and let your mind unravel in the midst of this universal, mystical language. Slowly you begin to descend into a world where the stars are within reach and your sorrows a thing of the past. You see, music doesn't only entertain us, it actually helps keep our brain young. 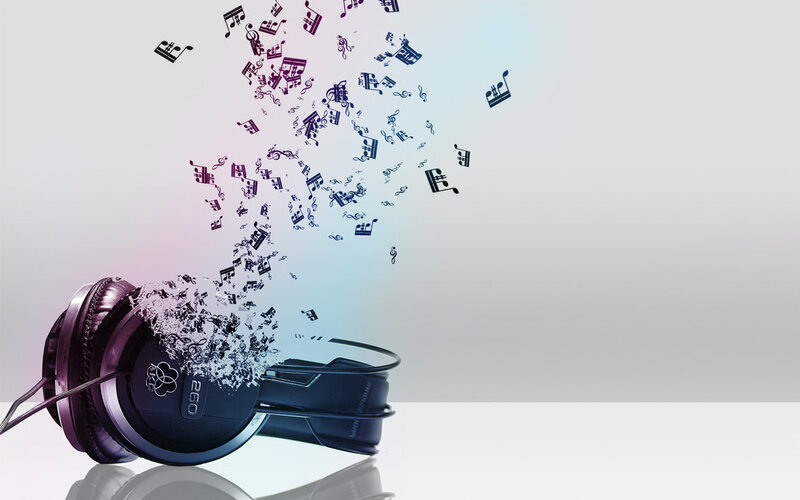 Just by listening to our favorite music, our brain secretes a “feel-good” neurotransmitter of dopamine and endorphins. What this does is make us more adept to exercising our mind and confronting challenges, given that confidence begins to conquer our entire self and we start to believe that we can accomplish anything. In the writings of Pythagoras, Aristotle and Plato, music was recognized as a healing tool. They believed that it influenced physical, emotional, cognitive and social well-being, improving the quality of life in general. Brain waves: Research has shown that music with strong beats stimulates brainwaves so they can cope with the beat. This means that the faster the beat, the sharper the concentration and the more alert our thinking becomes. While with a slower beat and tempo, a state of calm and meditation is promoted. Treats High Blood Pressure, Seizures, ADD, and Insomnia: Listening to classical music for a certain period of time every day could be the equivalent of one dose of Valium, of course without the harmful side effects. Conversely the wrong kind of music could actually do the opposite, according to Geetanjali Vaidya, author of Music, Emotion and the Brain. Improve White Cells in the Body: A research conducted on subjects who were submitted to listening to 20 minutes of classical music per day, compared to other subjects who did not listen to any music over the same period of time, had a significant increase in the presence of disease-fighting white blood cells. Improves Math, Literacy and IQ: It was discovered that children studying music for a year improved in general these skills. It seems that "musical training is having an effect on how the brain gets wired for general cognitive functioning related to memory and attention." With these few studies we can now understand the obsession people may have with music. Unfortunately there is a lot of untouched grounds in musical theory and the effects it has on the brain. It is, without a doubt, that regardless of how much we know about music, we do know it has a profound effect on human beings, beyond any research that may be conducted. Victor Hugo, said it well, "Music expresses that which cannot be put into words and that which cannot remain silent."